Court has adjourned for the day and will resume at 8:40 a.m. Friday. 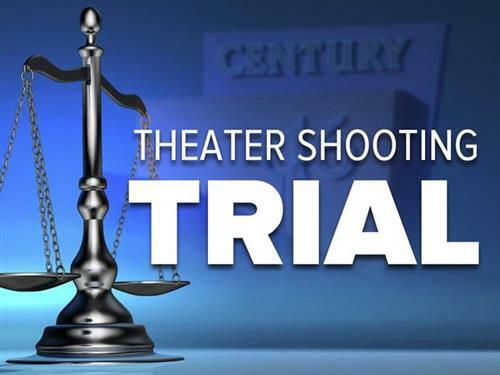 7NEWSThe jury in the Aurora movie theater shooting case will continue deliberations Thursday in phase one of the sentencing hearing. Good Morning!!! Wondering if Judge Seymour is going to give us a 3 hour delay in the findings as he did in the guilt phase? Any ideas? @Tired - There will be only a 20-minute waiting period before the jury's decision is announced. @ Tired - I think he already said no. @Anica-Thank you. MIssed that. Youre the best! Court is expected to resume at 8:40 a.m., but the jury is still deliberating phase 1, so it's not clear when the feed will begin. I hope today the chat room won't be like it was yesterday. It is was sad all the attacks. Good Morning everybody. I left when people started trolling yesterday, so I will be glad for these reruns. I hope people stay civil today. I know all of us signed in will. Yesterday was brutal. It was a coordinated attack by people from 4Chan, Reddit, Tumblr and more. It is extremely upsetting that they would target such a solemn proceeding. The jury has resumed deliberations, according to court spokesperson Rob McCallum. Good morning, all! I hope everyone can get along today. 'Morning! Hope trolling folks don't return either-that was surreal. I'm still fascinated (hence my user name) :) as to why it's taking so long to get to mitigation, when aggravating factors were admitted by defense. Any one else have any ideas on this??? I wonder if any of these jurors, after spending months on this, will wonder what all the delays were about. I hope abc7 will leave their coverage active after the jurors CAN look at the trial as it was shown to us. Some of the "conversations" between lawyers/judge were very interesting. @Anica, can you elaborate on that? for those of us that are out of state? I have wondered the same thing, Kathy. If the jurors are going to want to go back and see all the things they were kept out of the room for, and if it would change some of their thinking on stuff. Anica-any idea if anyone (bailiff/judge) can clarify that jurors understand they only needed 1 aggravating factor proven? It just doesn't seem right...and it was very monotonous & confusing the way instructions were read yest. : back to back, etc. I could see there being a misunderstanding. I don't even know if Ormann made it crystal clear...'thoughts, anyone??? I fell that it is appropriate in some ways that they take longer to deliberate this time. Last time was guilty/not guilty, insane. This time around they have to decide on life or death - a far more weighty decision, in my view. Have patience. The jury must decide on ALL of the aggravating factors so they can later weigh ALL the aggravates against ALL the mitigators. It's funny someone did mention they saw a lot of new names yesterday. Never would have thought they were actual trolls, though. Ok..please take it easy on me, but I don't understand the different phases? Can someone explain? Good morning, Anica. I missed all of yesterday and I appreciate the replay this morning. Good morning everyone! Do you think the jury will be back this afternoon with verdict on Phase One? @fascinated I'm assuming it's because everyone is crossing their T's and dotting all their I's to make sure no one can come back later with appeals and undo what the jury has done and will do. Yes...grave risk of death. He came there armed to kill them all. And the gunshot rounds went thru the wall into theater 8!!! @Kathy I was thinking the same thing. 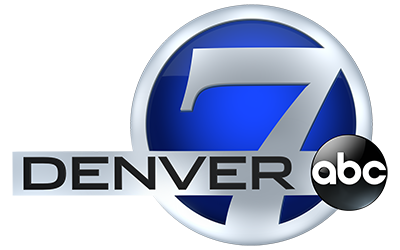 Live coverage of a large, long trial like this doesn't happen in Colorado very often. If I served on the Jury I might find it VERY interesting! Does anyone else have a fleeting notion that this jury is dragging its heels to get back at these lollygagging lawyers? They had to wait for them for hours yesterday morning. Now, the lawyers can wait on the jurors. What phase would we get to hear from the victim's and victim's families? Apparently, my internet provider is going to go all wonky today. I will be off and on, again, while they decide if people on my block should have internet or not. Grr. Morning! Had to quit with the comments yesterday or only really read those that have been signed on here for a long time. Darn Trolls!